My family and I visited Genesee Country Village yesterday in Mumford, NY, and to say it was amazing would be a huge understatement. 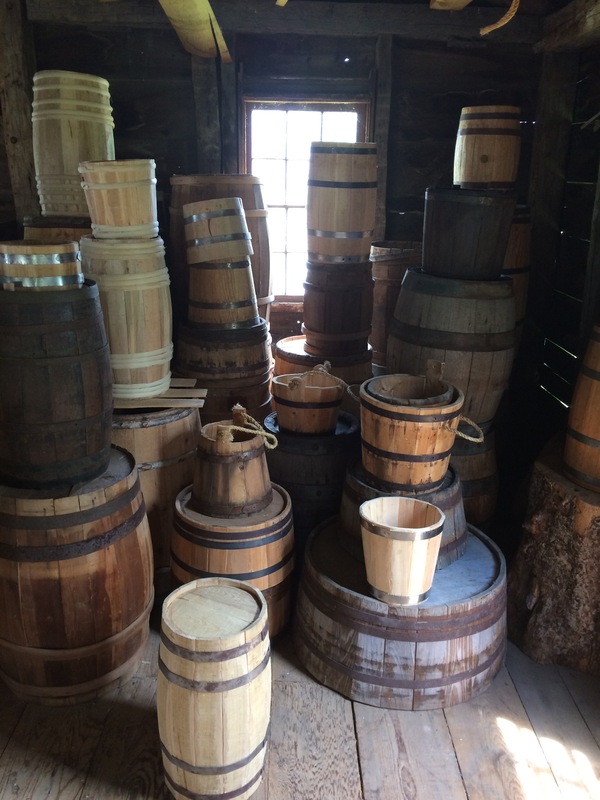 It is the largest living history museum in the U.S, and is on a 600 acre parcel of land. 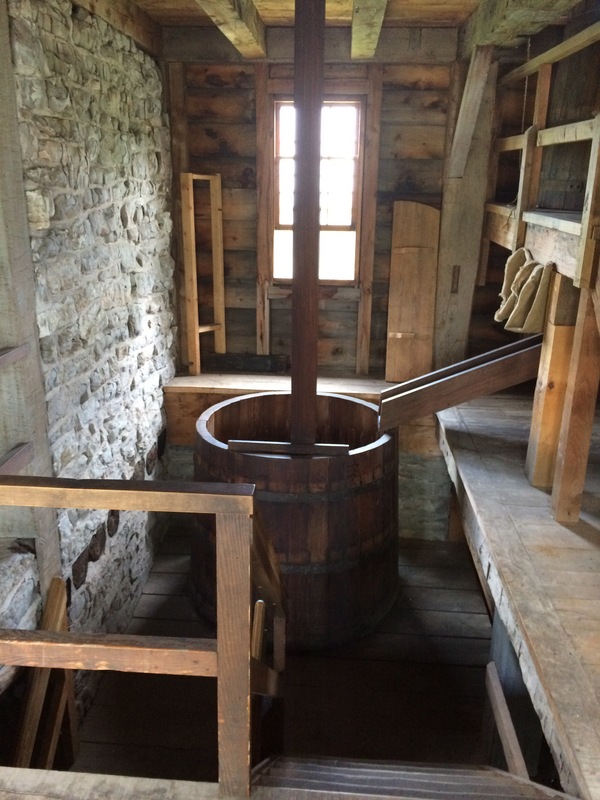 There were animals, gardens, blacksmiths, tinsmiths, yarn spinners, shops, brewery, shoemaker, apothecary etc. 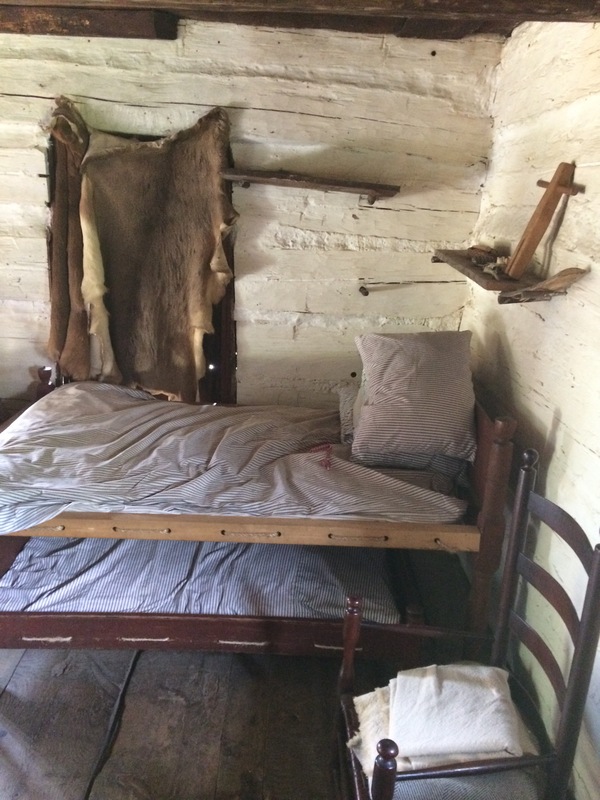 The fully furnished cabins were beautiful and quaint, but also showed the struggle the early pioneers would have faced. Disease, starvation, injury, doubt and missing your extended family would have plagued these brave people during their journey to homestead west. 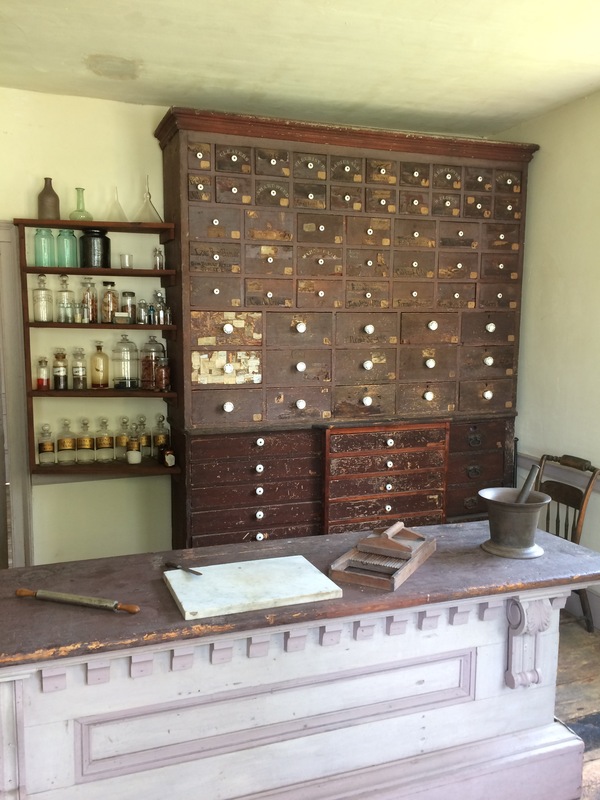 There are 49 outbuildings in this ‘museum,’ and one was as awesome as the next! They were as early as 1807 all the way to the early 1900’s. The best thing about it was there were ‘pioneers’ in each house living out what would have gone on in this time period. 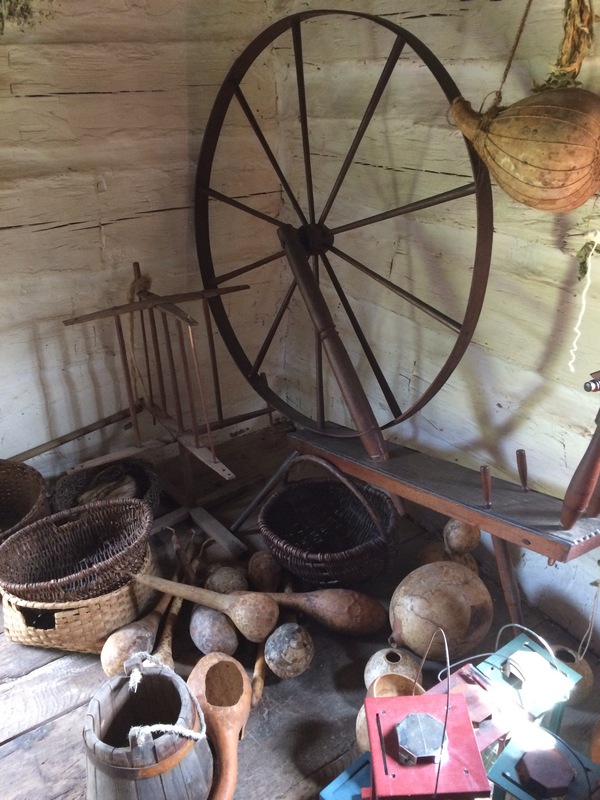 The blacksmith was making nails, the tinsmith was making lanterns, there was a man making buckets and butter churns, a potter making a fermentation crock, a women spinning wool into yarn. My kids had eyes the size of saucers and they learned so much in that short 6 hours day. Going to this living history site made me yearn for the simple life even more than I did before. 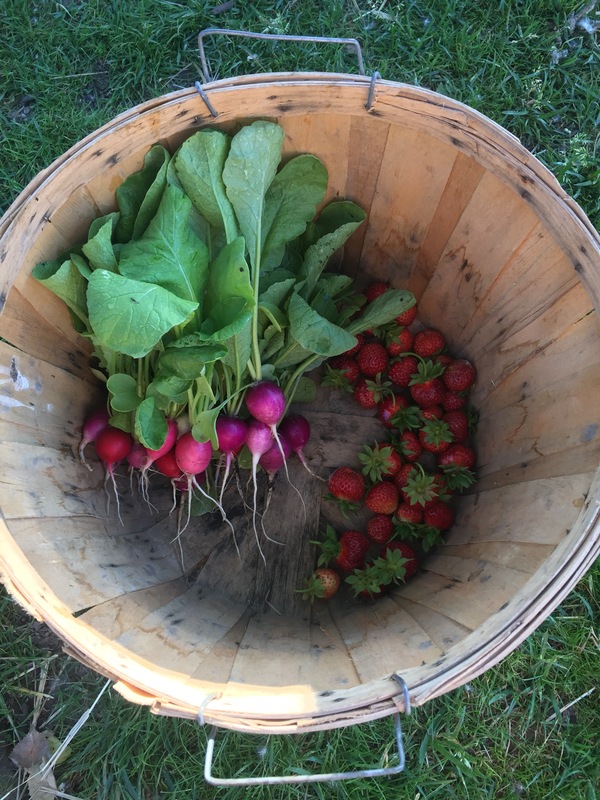 Don’t get me wrong, I am glad we have the medical advancements we have now, and I am thankful that if my garden doesn’t produce I *can* run to the grocery store and buy food, my kids won’t starve. It just made me realize how hard these people worked and how they had to constantly think ahead and prepare for the next season. One cabin had dried mushrooms on strings, dried herbs hanging from every beam, fermentation crocks filled with pickles and kraut, cheese drying, bread baking and food in a pot over the open fire. They didn’t have mason jars and fancy canners, they didn’t have food processers and driers. They had the sun, the air, salt and the sweat of their brow to preserve food. You couldn’t look something up on the internet, everything was trial and error. Winter was long and you had to have enough food put away for your family and livestock! I can’t imagine how much work that would have been! The courage it must have taken to leave everything you know behind and trek across the country to endure the unknown is something many people in this lifetime will never experience. I am glad they have this 600 acre reminder of what life was like a few hundred years ago so we can appreciate what our ancestors would have endured. As hard as this life would have been I truly believe these people lived happy, simple lives and were surrounded by their loved ones. No one was rushing off to work in a cubicle, facing a miserable commute in a car they couldn’t afford. You didn’t run around like a maniac shuttling your kids from activity to activity. You didn’t have a 25 year mortgage on a house hanging over your head for most of your adult life. People lived and breathed family life, taught their own children hard work and discipline and people believed in the sanctity of marriage. So really, who was better off, us or them? It’s definitely up for debate. Ticks … ew. Keep them away, make your own spray! I don’t know about you guys, but the ticks in southern Ontario are horrendous this year. It is by far the worst season for them. Maybe it was the mild winter, and not enough of them died off. Whatever the case is, it is important to protect yourself and your family and pets from the dreaded Lyme disease and tick fever. 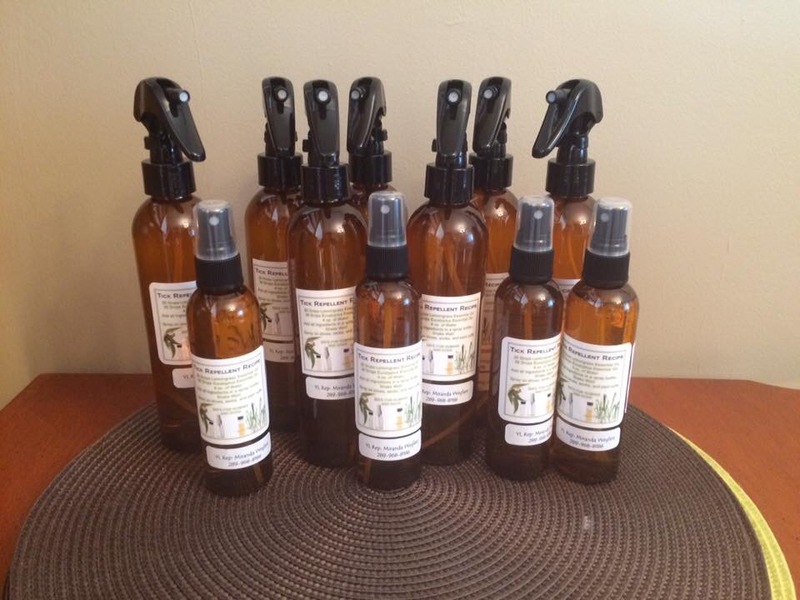 So, I made a batch of tick spray for my family and friends this year. There was a good recipe which called for eucalyptus and lemongrass essential oils. Mix distilled water with 20drops of each for every 4oz of water in a large glass bottle or a dark plastic spray bottle approved for use with EOs. I spray it on my kids socks, shoes and legs. I also give my dogs coat a light spray. DO NOT USE ON CATS 🐱 their body cannot metabolize essential oils. I use Young Living brand, it is pure, therapeutic grade oil. 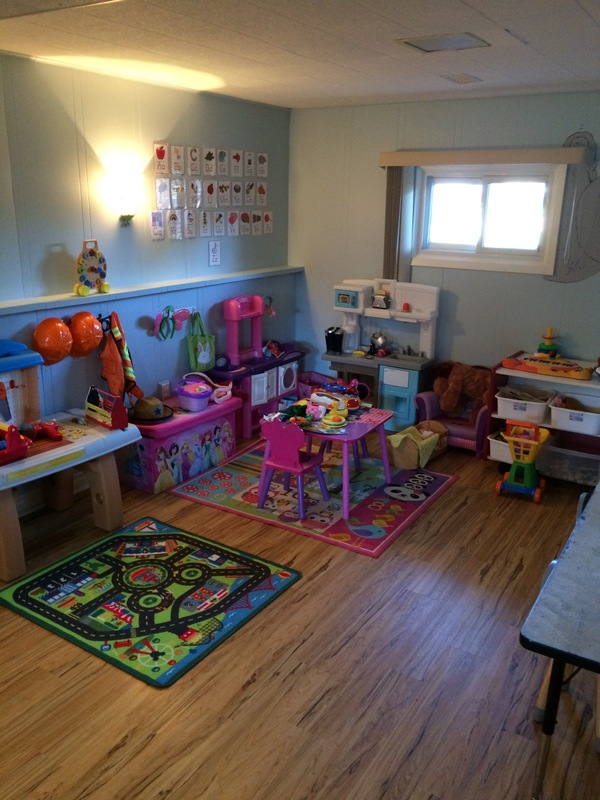 It’s so nice to make your own products and know that you are not spraying chemical laden products on your children. It is a bit pricey, but a little goes a long way and a 8oz bottle will lat a long time! DISCLAIMER: I am not a doctor, lawyer, or veterinarian. Please use the knowledge acquired from this site responsibly. As a kid my favorite show was Little House on the Prairie. I owned all the books, I had a dress-up box full of bonnets and long dresses, my sisters and I would love dressing up and playing ‘house.’ As I grew older and got into sports and school, the love for ‘pioneer life’ quieted. However, as an adult and raising my own kids, my passion is back X 10! 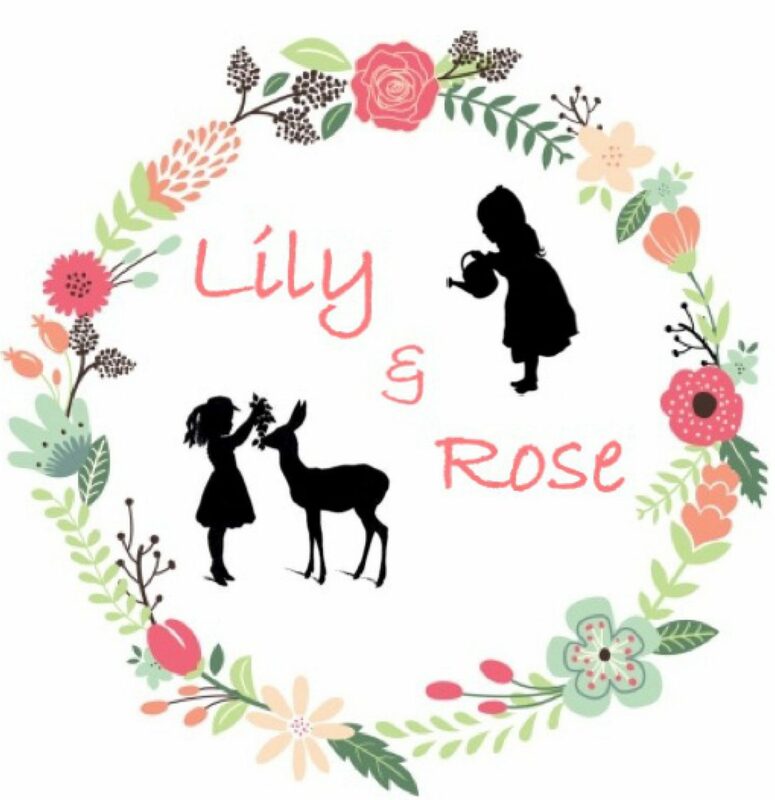 Hanging laundry on a line, canning, animal husbandry (quail, chicken & rabbits), gardening, and DIY cleaning and beauty products. Finding these has brought my passion for that life back. 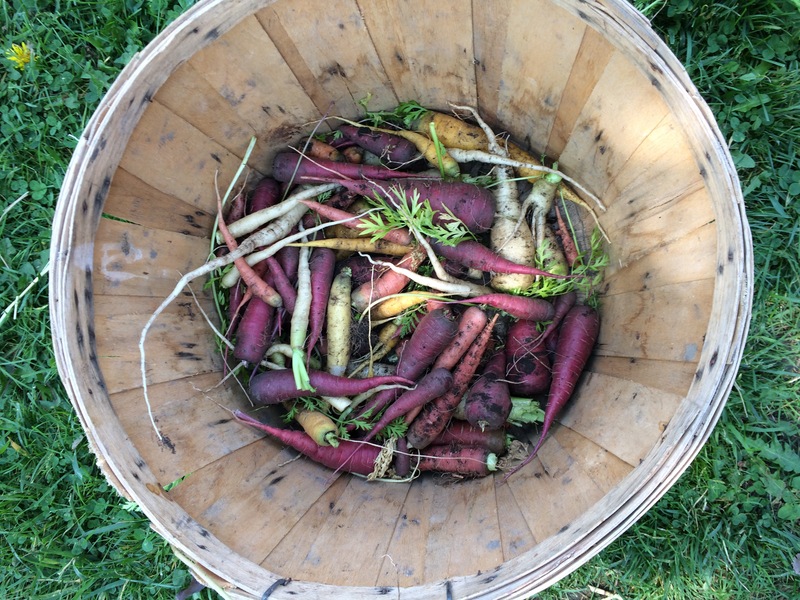 The simple days where people ‘worked from home’ with their families, planting, tending, harvesting & cooking. I think that is why I am so fascinated with Amish and Mennonite cultures, because they still live this way. Hundreds of years have passed and they still operate in the exact same way they did before. Although, I cannot mimic this lifestyle in my own life (I have to go to work to pay the bills L) I am trying to learn as many old skills as I can so that I can pass them down to my daughters. Our society is heading in the direction that these skills will be lost forever if people don’t take a vested interest in learning them and preserving them for the generations to come. 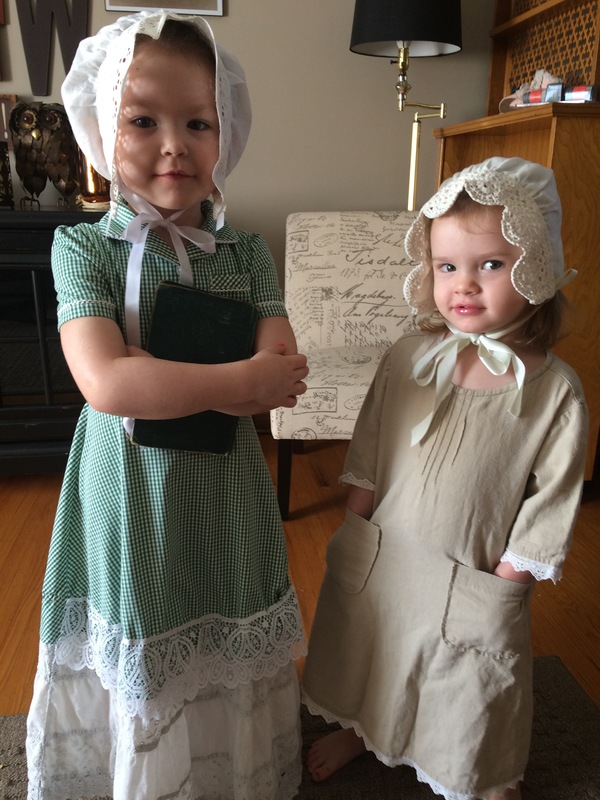 My girls have the pioneer spirit in them. 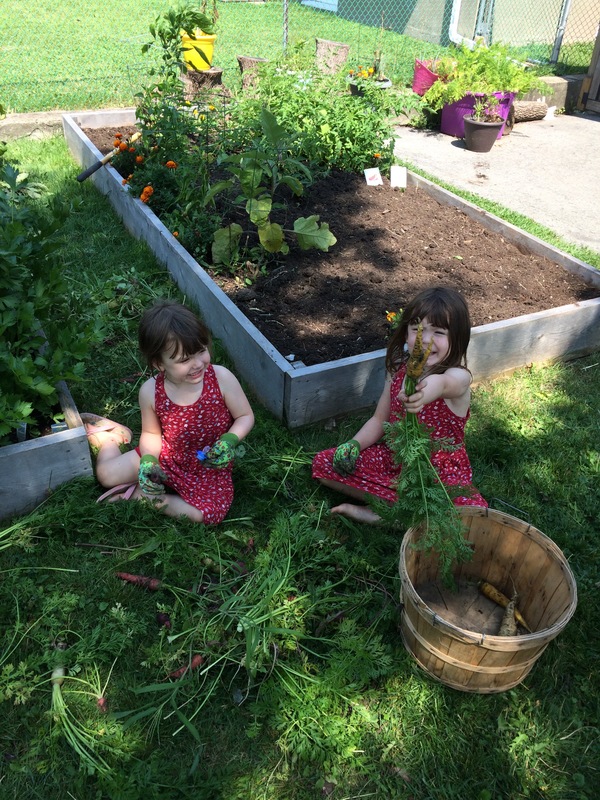 They love to play outside, help with the garden, and can strawberry jam with me. 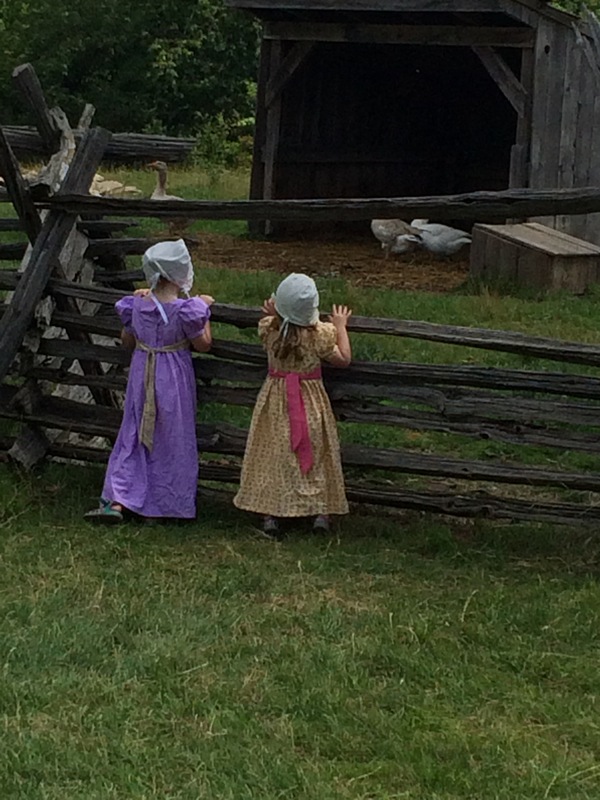 With the help of one of my grandmothers I was able to sew a dress for each one of my girls to wear to heritage day in our area, they love wearing bonnets and enjoying the activities there. There is a photo circulating around Facebook that reads, “Grandma survived the depression because her supply chain was local and she knew how to do stuff.” This is my mission! I want to consume less and produce more. It’s been fun learning new skills, and I hope to add from year to year! 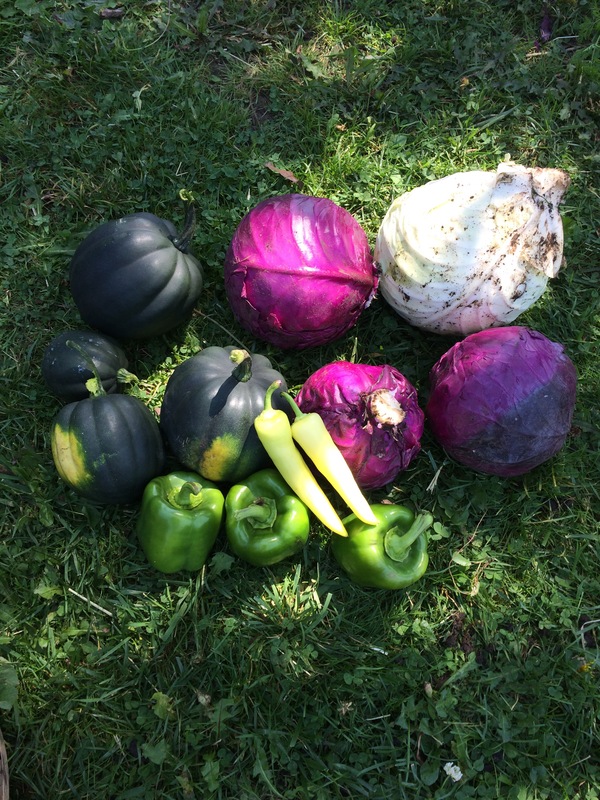 There are a lot of homesteading websites that have inspired me and helped me immensely. That is one of my reasons for starting this blog. Even if I can just reach out and help a few people, it is worth it! 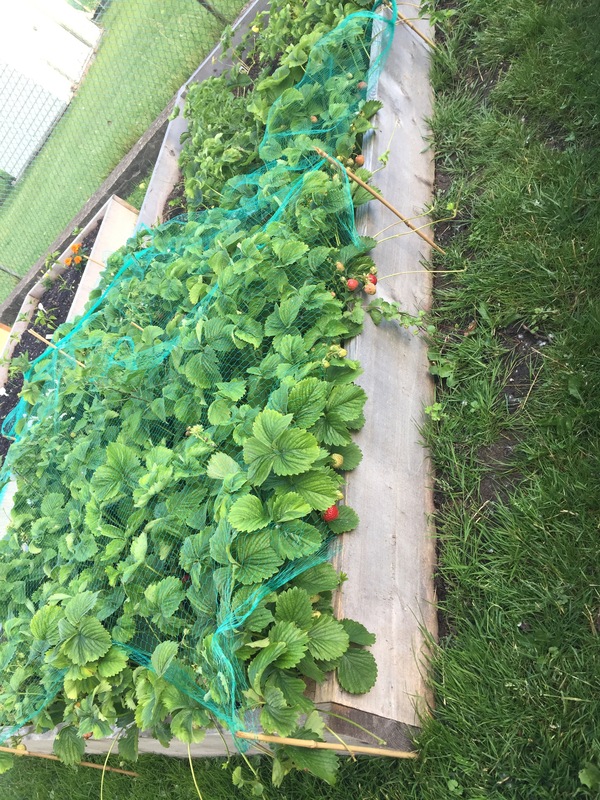 Last year, when I planted all my strawberries, I felt a little discouraged! I had very few berries and the small ones I did get, the dang birds ate! This year, they have exploded! I covered them with leaves in the winter and come spring, they were everywhere. The root system is very strong and we have had a ton of berries so far! 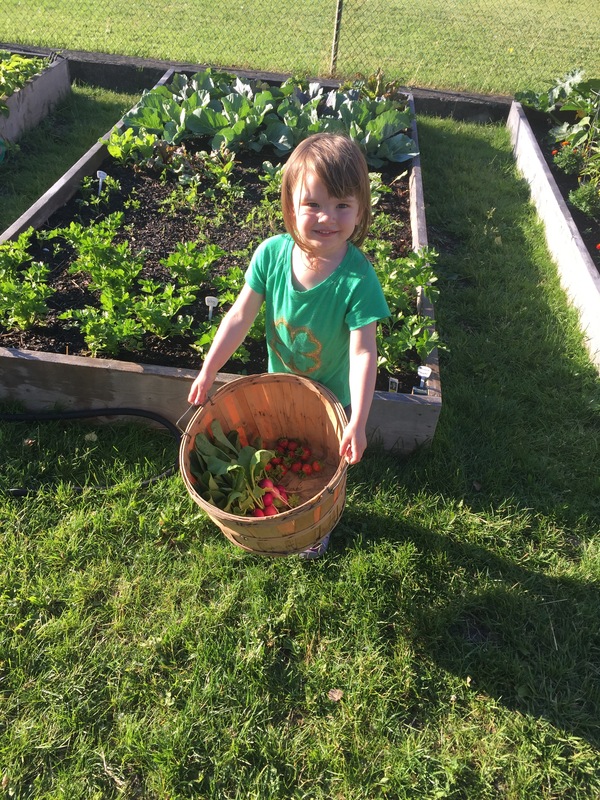 Nothing makes a 3 and 4 year old more excited, than a big, plump red berry ripe for pickin’ 😄🍓I also bought a net to put over top of the plants to make sure the birds didn’t eat all of them! I left a few uncovered in case they wanted a little snack 🙂 🐦 We had a lot of spring rain this year, and I would bet that helped them grow a lot! 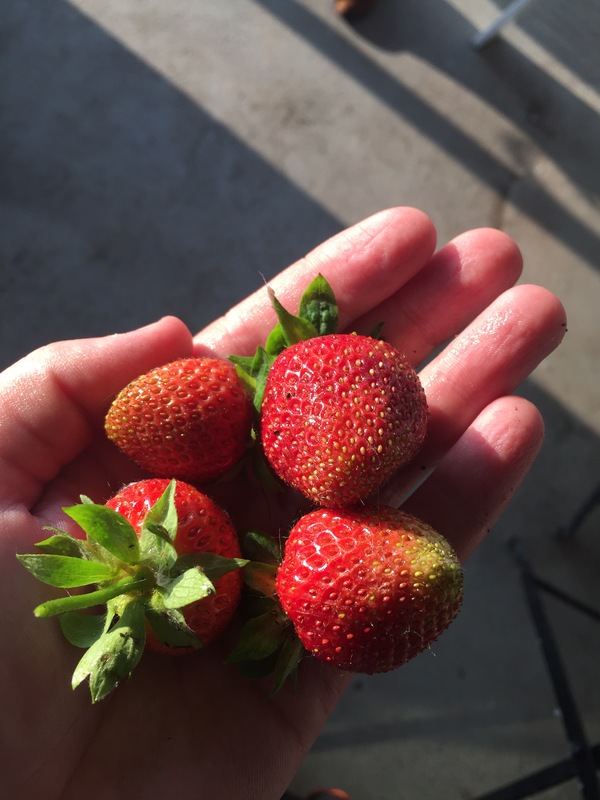 Organic strawberries right out of the garden! Most delicious thing ever! The netting is to keep birds away! They will eat every single berry!